Bibliography of the philosophical literature of India during its classical phase, and the secondary material on this literature that is available (for the most part) in English. Online version of Karl Potter's book compilation. Digital South Asia Library . 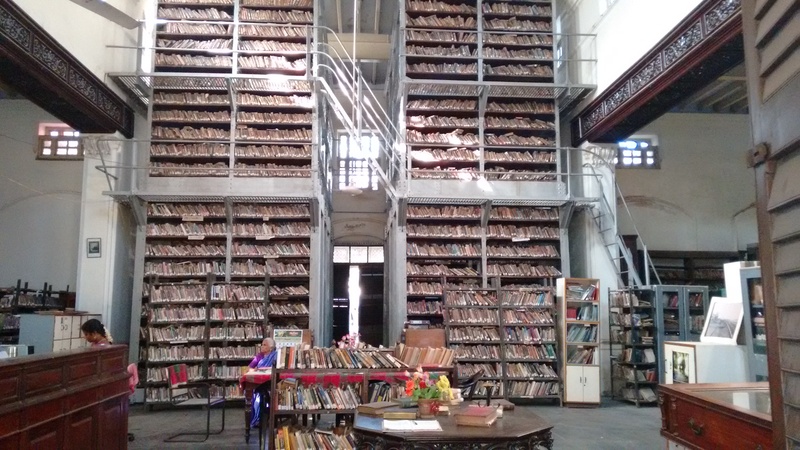 The Digital South Asia Library, a project of the Center for Research Libraries, is a global collaborative effort to make important and rare South Asian resources available to the international community. Includes: reference resources, bibliographies and union lists, indexes, books and journals, statistics, image collections, maps and catalogs of maps. The site covers books from 1531 to 2015, with full-text copies of hundreds of titles that appeared before 1939 and short critical summaries of the most important items written by international experts. The books published after 1954 included here, all relate back to the period before that year, including to the 267-year period between 1668 and 1954 when the French nation had a trading presence in India. Presenting them in chronological order, this site shows books in history and fascinating recurring tropes in French-language representations of India. NDL India is designed to hold content of any language and provides interface support for leading Indian languages (currently Hindi and Bengali). It is being arranged to provide support for all academic levels. It is being developed at IIT Kharagpur. Based on Theodor Aufrecht's Catalogus catalogorum. Encompassing the treatises and translations produced in India between the 13th and the 19th century. Collection containing resources relevant to India. The former Digital Library of India site was the source of many of these 312,986 text items. Online materials on South Asia topics available at the Library of Congress. This link is to a keyword search for "South Asia." To locate many other materials, try other Asia region-specific keyword searches for online materials.